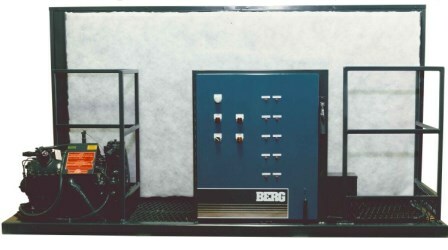 Indoor Air Cooled Process Chillers | Berg Chilling Inc.
Berg Chilling Systems Inc.’s indoor air cooled industrial chillers are designed for applications in process cooling where it is desirable to convert the heat from molds, rolls, etc. into hot air to provide facility heat. 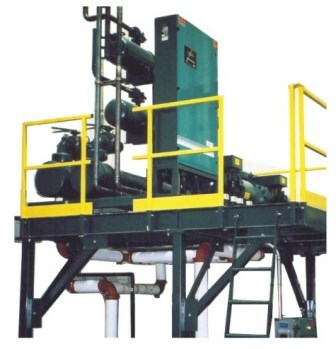 This type of waste heat recovery unit, also known as heat recyclers, provide supplemental heating for a plant in the winter and ventilation during summer. This is achieved by changing the damper settings in the ductwork. 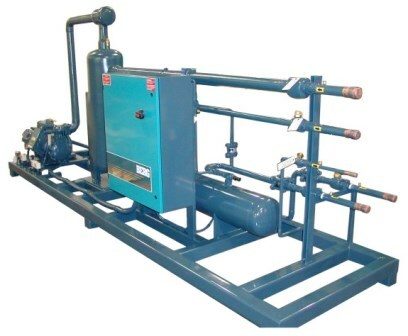 These air cooled chiller models are recommended for applications with clean air and supplemental heat requirements. The indoor air cooled refrigeration unit is part of Berg Chilling Systems Inc.’s complete line of heat reclaim chiller systems. 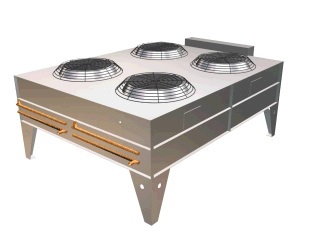 These are used in conjunction with a Berg Pump Tank Assembly to create a complete central chilled air cooled System. This system reclaims waste energy to heat the plant during the winter months and provides superb ventilation during the summer months. 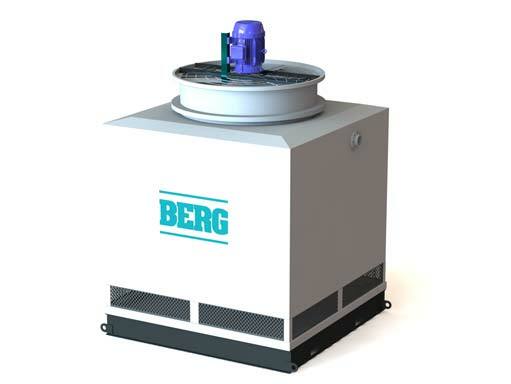 Berg’s industrial indoor chillers incorporate high air flow to eliminate many of the problems associated with air stratification. All components are configured on the frame for easy maintenance and simple start-up. This system is used to control chiller units in a multiple central chilling system.